This one has it all!!!! 5 bedrooms, 4 baths, 1/2 + acre cul-de-sac lot, pool, RV parking, and owned solar!!!!!! This beautiful Sierra Meadows home features a great open floorplan with living room that opens to breakfast nook and large kitchen with upgraded cabinets and stainless steel appliances, formal dining room, master suite with walk-in closet, double sinks, separate tub and shower. This energy efficient home was built with 2 x 6 construction and added insulation on exterior and interior walls and a tankless water heater. There is tons of extra concrete all around the home and a solar powered automatic gate. Don't miss the studio apartment with 3/4 bathroom and kitchenette!!! 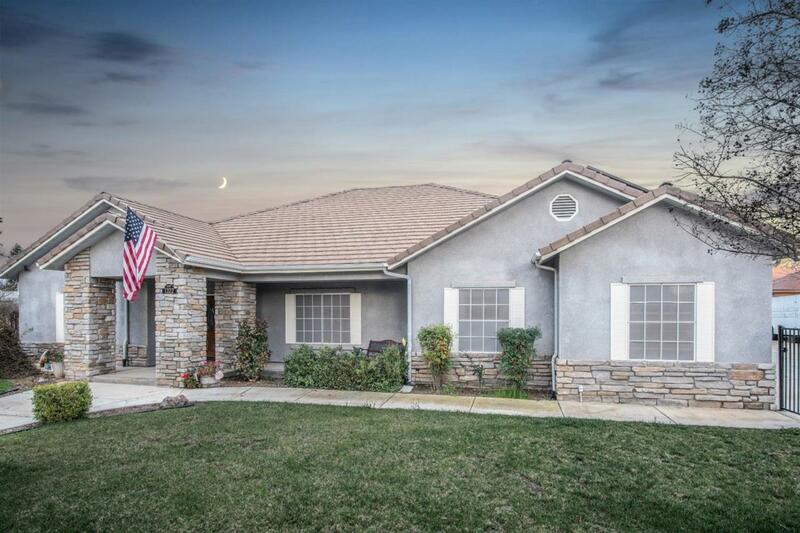 Listing provided courtesy of Sarah Catalina of Keller Williams Realty - Porterville.